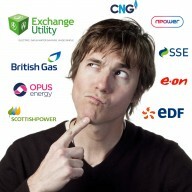 Home » Business and Business Energy News UK » Business energy comparison sites: Why are they useful? Business energy comparison sites: Why are they useful? Energy comparison sites came into fruition after an Ofgem investigation found that a lack of competition within the UK energy market meant that suppliers were able to drive prices up. This was resulting in a market with very few alternatives for consumers. Third Party Intermediary sites (TPI’s), like Exchange Utility, evolved to combat this problem by creating higher levels of transparency for business customers. This means that UK energy suppliers have to be more competitive with their pricing in order to win your custom. So why bother with the stress when there are simple tools that can compare the best rates for your business? Want to compare business energy prices now? Why are business energy comparison sites useful? Energy comparison sites and other switching services certainly have their place in the UK. 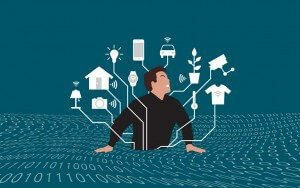 Pretty much everyone will compare when they are looking for the best deal on anything, including: energy, mobile phones, internet connections, clothes, cars and insurance – why wouldn’t you? Comparison sites are a fantastic way to find a great deal on what you’re looking for! Using an energy comparison site provides your business with easy access to prices from a range of UK energy suppliers. With Exchange Utility, you can compare across UK suppliers and get a representative view of the UK energy market. We can provide you with energy tariff options from a range suppliers including independent suppliers, green energy suppliers and members of the Big Six. You can find a breakdown of what each supplier is offering on our supplier pages if you require more details. Switching supplier without an energy comparison site can be incredibly costly, time consuming and stressful. 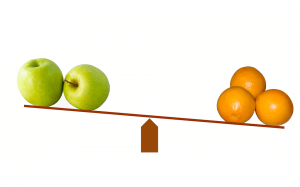 Comparing without a TPI would mean that you have to bounce from supplier to supplier, gathering the best rates so that you can then review them and select your favoured option. This comparison method can become extremely drawn out. It’s also far too easy to get bombarded by jargon and calls from each supplier’s hungry sales team. With Exchange Utility, you deal with one of our Impartial energy advisors who will guide you through the options that are available to your business and advise on the best course of action – The final decision is always yours! Furthermore, we take care of all of the transitional paperwork so that you don’t have to worry about any complex contracts or calculations. After you’ve chosen the best energy contract for your business all that is left to do is sit back and enjoy your savings! Since our launch, we have built up some fantastic relationships with our suppliers. By doing this we are creating a better experience for our customers, as each supplier wants to share their new offerings with you. By extension, we are able to process paperwork faster, gain access to some fantastic prices and offer all of the latest perks from each supplier to the businesses we work with. We invest heavily in training our experts in all things energy so that our comparisons are as effective as possible for your business. Staff receive regular development, market notifications, updates and tips and tricks to aid them in helping you to reduce your biggest business overheads. You can feel confident that you’re in safe hands with our experts. Their hard work reducing the size of business energy bills up and down the UK has resulted in us being awarded a FIVE STAR RATING on Trust Pilot for our customer service. Using energy comparison sites can be an effective way to reduce your gas, electricity and water bills. As previously mentioned, suppliers are aware that their rates will be lined up right next to their competitors, therefore, they are more likely to offer a better rate so that they can stand out. Energy comparison sites make it easy for you to review your options and identify the best prices that are available so you can save money. If you haven’t chosen a new contract in a number of years, it is likely that you’ve rolled onto a standard rate tariff (which is usually the most expensive rate). If this has happened, don’t panic! We can look into some alternative tariffs for you with the view to drive your costs down and make sure you’re on the best available rates. To see some examples of just how effective quality energy contract management can be, visit our case studies page. Here you will find just a few of our success stories and the savings that our business customers achieved as a result. Confident about business energy comparison sites? If you’ve seen all that you need to see, then there’s only one thing left to do: Get started! Good luck in your search for a better business energy deal!